Fashion month is an exciting playing field for both style enthusiasts, and street style photographers alike. 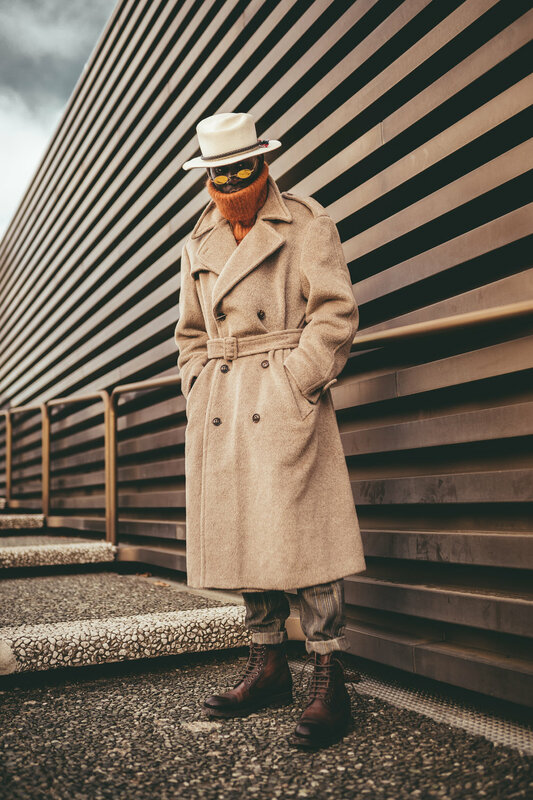 The enthusiast is eager to be spotted, and rewarded with a badge of honor for his riveting style, while the photographer’s taste for eccentricity searches for satisfaction in documenting said style. Leading up to Fashion Month, creatives diligently embark on tasks that will set them up for a successful month in the heart of chaos. These tasks may include pulling pieces for street style, scheduling their calendars for presentations they are looking forward to, grooming their skin and hair to ensure they are looking camera-ready, and sometimes, planning collaborations amidst fashion week to stay atop of relevancy. To really understand what it means to “get ready” for fashion month, I wanted to step into the shoes of an influencer in the menswear space. One that is relevant, and street style savvy. After much given thought, the decision to profile sought-after Salomon Dubois on his steps to prepare for fashion month was an effortless one. 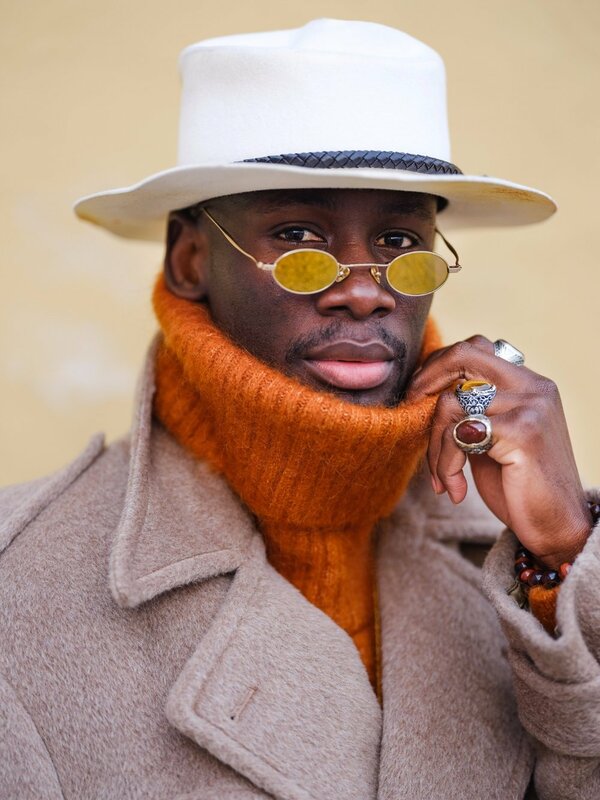 Salomon is a creative artistic director from the Ivory Coast in West Africa who has graced the street style round ups of Vogue, GQ France, and the New York Times. 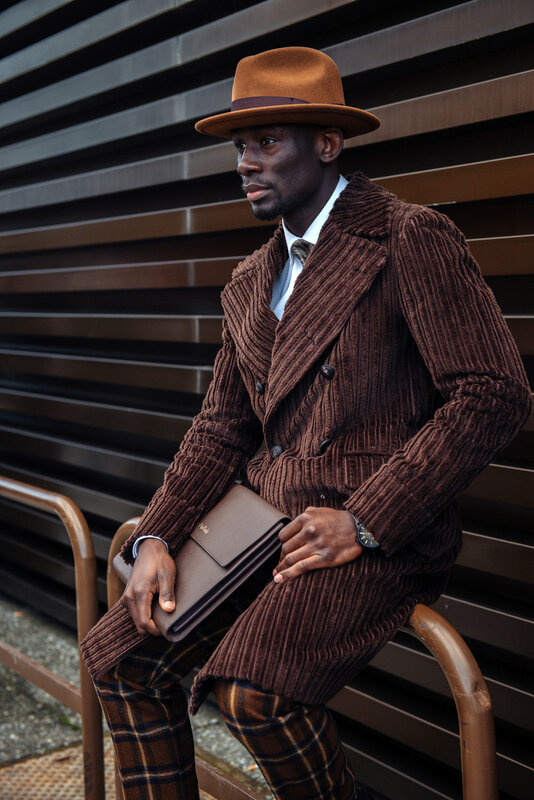 Salomon moved to Paris when he was only fifteen years old, and his gateway into the industry began when he started working as a catalog model in London. “For the past few seasons my strategy has been different because of the multi-faceted opportunities I had. For the most recent seasons during the months leading up to fashion month, what I did was have my agency reach out to brands I wanted to work with. 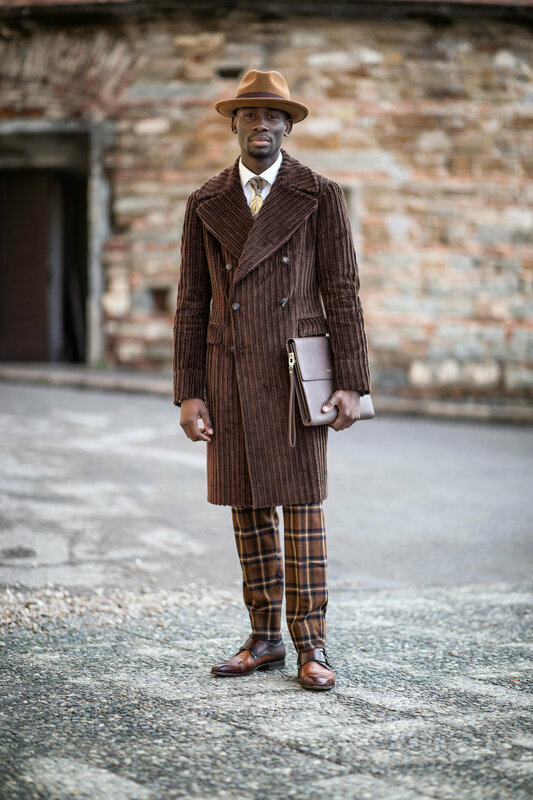 I had them help me with securing partnerships with clothing brands in Milan, and London to work on a value-based opportunity where I was able to style myself in different pieces provided by each brand for the week. “My best advice to attend the most shows, and to receive the most experience during fashion month is to work with one of the following three organizations: agency, magazine, or showroom. If you are at one of those established organizations then you will have a better chance to receive extended invitations. Follow Salomon’s fashion journey, here.